From Our Sister Site: Is Patricia Your Estranged Father? 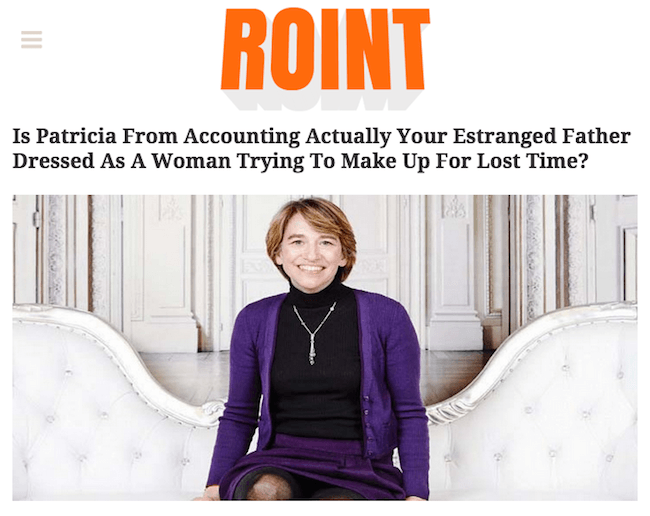 From Our Sister Site: Is Patricia From Accounting Actually Your Estranged Father Dressed As A Woman Trying To Make Up For Lost Time? Quiz: Can We Guess Which STD You Are?